Propel is offering three 2019 KickstART Festival internship in 2018 and 2019, offering entry-level work experience, professional development and mentoring to help young people aged between 18 and 26 to kickstart their pathways into a professional career. 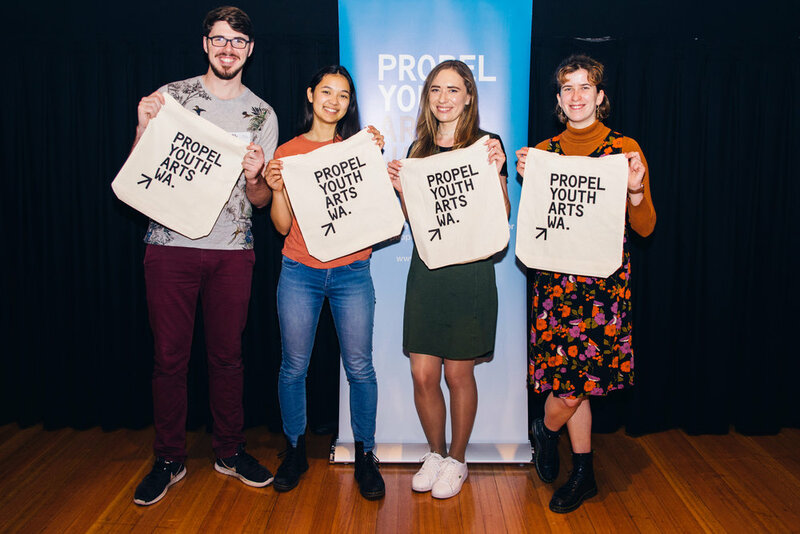 Successful interns will receive direct mentoring from Propel staff, have a unique insight into the inner workings of a not-for-profit arts organisation and can expect to develop valuable networks within the Western Australian arts sector, while assisting with the implementation of Propel projects. Furthermore all interns will receive formal reference letters, upon request, once the internship period is finalised. All successfully appointed interns will be expected to work in the Propel office at least 1 day/ 8 hours per week, which will increase during the KickstART Festival, held during April 2019. Our interns will be aged between 18 - 26, have a passion for the arts or a willingness to learn about the industry, have high level communication skills and have a positive attitude towards work and the arts environment. Please note that these are unpaid internships. Send your current resume and a one page cover letter addressing the criteria in the job packs located below and briefly summarise why you are interested in the position, to hello@propel.org.au. You are welcome to apply for more than one position but a seperate cover letter will be required for each position applied. If you have any questions regarding the position email Project Development Officer Cecile at cecile@propel.org.au or call the office at 08 9328 5855.